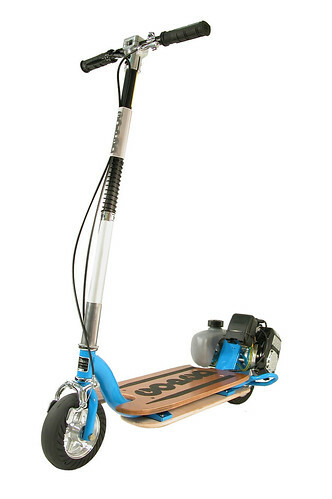 The Xped is a scooter which is designed to be used to jump and do skate park tricks. It comes with a pre-installed scrub board to protect the under frame area while grinding. There is also a protective bumper over the bottom of the engine to protect it from damage.